Well, it's a green light for us on the Feeding Clinic. We've been talking, thinking, praying and discussing our options regarding placing Bennett in a feeding program. We have mulled over the risks involved and the issues that come with deciding to go forward with the program. Each time and each conversation seems to lead us back to the same conclusion: This is the best thing for Bennett. 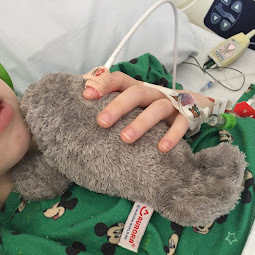 Is an inpatient feeding clinic the only option for helping wean Bennett off the g-tube? Yes. 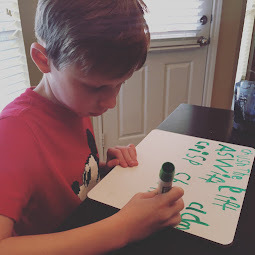 We have learned that we are already at the max of what private speech therapy offers. As our speech therapist told me today, "if you need more than 10 sessions per month, the child needs intensive inpatient care." This is what I suspected but wasn't 100% sure. Even most insurance companies won't provide more intensive speech therapy than that...so, we either keep doing what we're doing or decide to do something more intensive. Is this the best time? Could we wait until a later time? From our conversations with the Feeding Clinic, Bennett's CF Dietitian and Speech Therapist, addressing these issues earlier is better. Studies show that the longer a child is fed through a tube (no matter the reason why they have it in the first place), the harder it is to wean them off. Bennett is at a great place right now because he's young enough not to have too many established habits or identity issues with being tube fed. The older he gets, the more likely that he will be more resistant to the change. The earliest the feeding clinic will take him is at 15-18 months. He turns 16 months at the end of this month. Won't the social pressure of Bennett growing up around people eating be enough to change him? 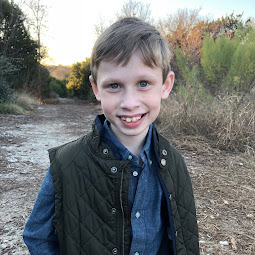 As Bennett's CF Dietitian said recently, "I've never heard of a 7-year-old who is primarily tube fed just picking up a fork one day and saying 'let's eat!'" The reality is that as a child gets older, the more ingrained they are with what they do. Possibly social pressure could affect the way Bennett interacts with food. However, it's also quite possible that Bennett will quickly learn how to prevent food from affecting with his social interaction. In addition, for some with CF, as the disease progresses, the more they do not feel hunger or a desire to eat. It is very realistic to believe that, even with this feeding clinic, Bennett may never be that interested in eating. If he isn't interested in eating, no amount of social pressure will likely change his eating habits. It's like eating when we are sick. It doesn't matter if everybody is having a pizza party around us, if we're sick and don't want to eat, we don't eat. Is there a chance that Bennett would be weaned from the tube and then end up having to go back on the g-tube? Yes. This is a possibility. However, his eating issues now don't necessarily predict whether he will struggle with eating in the future. Often, eating issues with CF are related to the disease progression. We haven't seen how his disease will progress. Therefore, the only information we really can use to make a decision about the feeding clinic is that which we have now. We simply don't know what the future holds. Ultimately, we've decided it's better to have even a short amount of time of him eating without a tube than to have none at all. We struggle alot about the impact this will have on Oliver. In some ways, 5 or 6 weeks seems so short. But in another way - to a little boy who already struggles with feeling safe, it's difficult to imagine what it will be like for Oliver not to have his mother to tuck him in for up to 42 nights in a row and not be able to really care for him for several weeks. Oliver has certainly had to deal with alot of things most 3 year olds don't deal with in the last year. However, there are some differences between our last times in the hospital and this trip. Last time, Bennett was in the hospital because he was very sick. This time, he will be well. Last time, we didn't know when Bennett would be released. This time, Bennett will have a definite admission and discharge date. 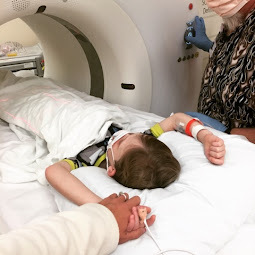 Last time, we were grieving - dealing with the shock of our lives and experiencing a myriad of emotions and fears regarding his diagnosis/survival. This time, we are much more prepared what emotions we will feel. And last time, Oliver had no professional support. This time, Oliver's therapist said she will help us and help him cope with the change that he will undergo through this process. At this point, our plan is to have Brian keep Oliver as much as possible with Breck's mother there to help as needed. We have spoken with a sweet family who recently experienced the Baylor Feeding Clinic program. I can share more about that later. But the bottom line is the program will be incredibly intensive and very scheduled. For a short time, we will lose control of our lives and release this control to a medical team. But, the prospect for Bennett to come home eating on his own is very good. What is our overall feeling about going forward with deciding to go to the feeding clinic? What we have finally concluded is...if we admit Bennett to the feeding clinic, there is hope Bennett will be able to eat normally. If we do nothing at all, there is little hope he will ever be g-tube free. We are both incredibly nervous and excited about what this opportunity will bring. Ultimately, we feel that if we can get Bennett off the feeding tube, he has a much greater chance to experience life more normally, even with CF. We feel good about this decision and believe God will take care of the lingering issues that might arise. When would we be admitted? The actual date of our Feeding Clinic admission will be set in the Spring. However, we have officially asked for the middle of May to coincide with the end of Brian's Spring semester. The clinic has indicated that a bed will most likely be ready for Bennett at the beginning or middle of May. What a well thought out choice, but such a tough one to make with all the different factors affecting the WHOLE family, not just one child. Your decision making process is sound and it sounds like he is at a good place to have success. If we can help support you in any way while you're there please don't hesitate to ask. I am so sympathetic! My daughter refused to eat and I had to watch her slide down the weight chart. It is so difficult and I felt so guilty! This website http://childrenandbabiesnoteating.com/ was really helpful for me to understand why kids don't eat and what can be done as well as the different feeding clinic options.